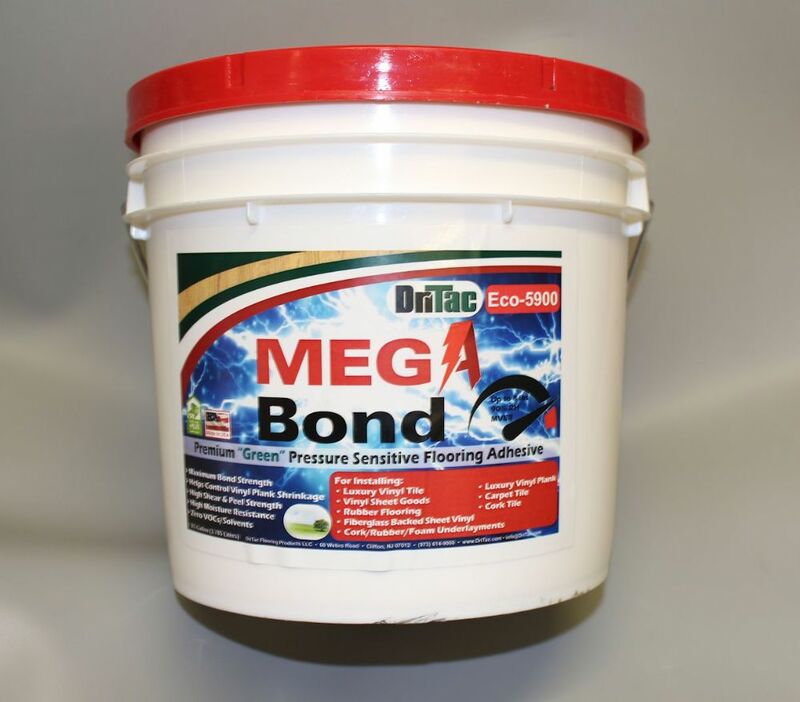 5900 Megabond pressure sensitive resilient flooring adhesive from DriTac USA. For fixing LVT tiles and planks rubber flooring, sheet vinyl, fibre glass sheet vinyl, carpet tiles cork tiles as well as cork, rubber and foam underlays. 5900 Megabond has very high initial tack , high shear strength, maximum bond strength and very low odour. This adhesive spreads easily and is easy to clean with a high moisture resistance at 95%RH.